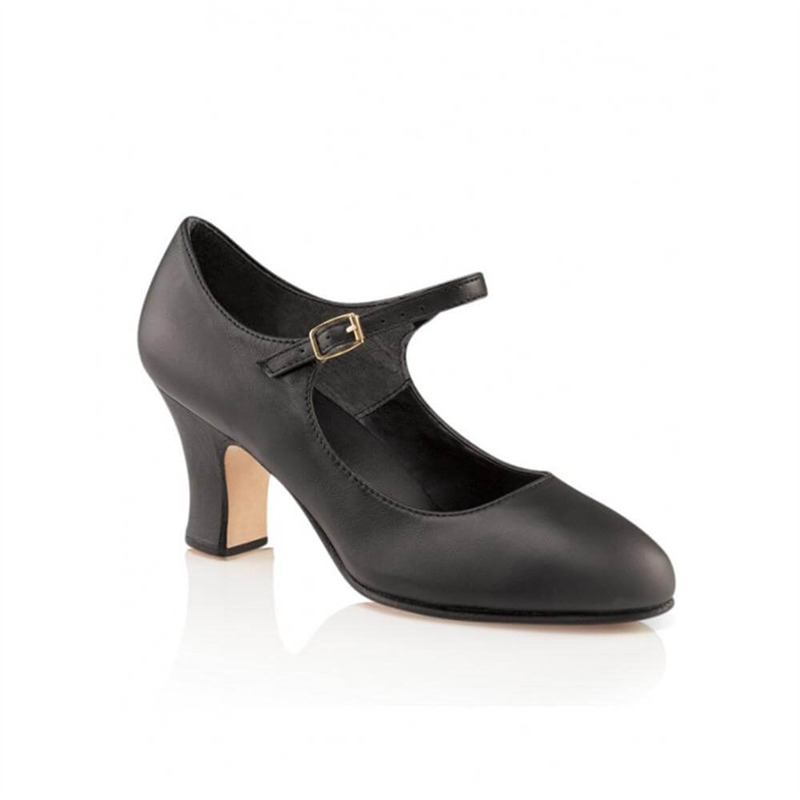 Easy to break in and ready to wear, this character shoe gives any routine just the right look, right down to an elegant ankle strap. Constructed from soft, durable leather with folded edges for a clean look. To improve comfort and fit there's a fully leather lined footbed with a foam cushioned insole and a non-slip heel counter. The sole is full leather and the 2.5" contoured heel is fully breasted and wrapped. Its flared design provides a larger strike zone for increased stability.